Malco Theatres is happy to announce its partnership with SurveyMe, an innovative mobile feedback app. Malco will use SurveyMe’s app to get input from its moviegoers and to reward those moviegoers with items like popcorn and candy instantly. This initiative has been launched in all of Malco’s 34 movie theatres across six states. SurveyMe is working with many other movie theatre groups to help them drive sales to concession stands, while also improving the overall customer experience. When moviegoers are given the chance to download the free mobile app and answer a few short questions to earn a reward, everyone wins! 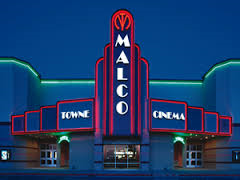 Malco Theatres is a fourth-generation family owned and operated business that reached its 100th anniversary in 2015. Malco Theatres operates over 350 screens at 34 locations across the Mid-South, as well as bowling and family entertainment centers in Louisiana and Mississippi. Built for the mobile generation, SurveyMe allows companies to collect feedback and engage with customers at the point of experience in exchange for marketing coupons that can be used instantly or saved in a digital wallet on the app. Companies of all sizes can craft surveys and distribute them immediately. Within minutes of the initial response, CMOs and brand managers can easily view feedback and data through a robust analytics dashboard. 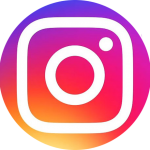 Businesses can then adapt their business model to meet the needs of their customer base, simultaneously growing brand loyalty and increasing foot traffic. With unique geolocation technology built-in, more customers can find surveys from businesses they may have never visited, providing companies with a marketing opportunity in addition to quality feedback.